As we are approaching one of the most popular months to get married and we know that your wedding day is the one day you will always remember. Whether you are getting ready for the big day or cleaning up after, your dress is one of the most important items. 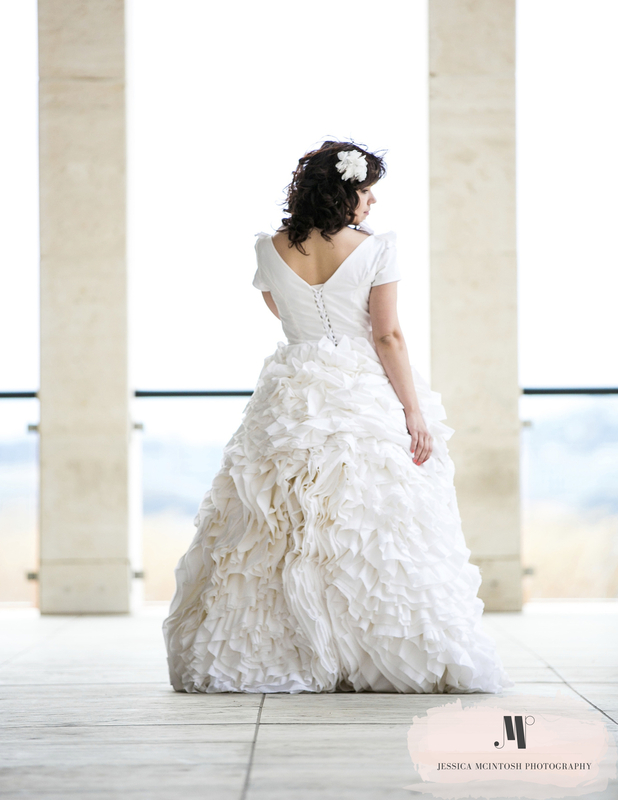 We offer a range of services to take care of the most precious dress you will ever wear. We can bustle, press, clean, and preserve your beautiful gown. But why should you bring it to a dry cleaners? Why should it be preserved? Should it be stored in a muslin bag or a box? We want to put an end to those questions. At Nicholson Cleaners we do everything on location at our main location in East Nashville. That is one thing you can rest in knowing your dress will be safe in only our hands. Once you bring your dress in, we look over it with you and we like for you to point out anything special you want us to pay attention to. 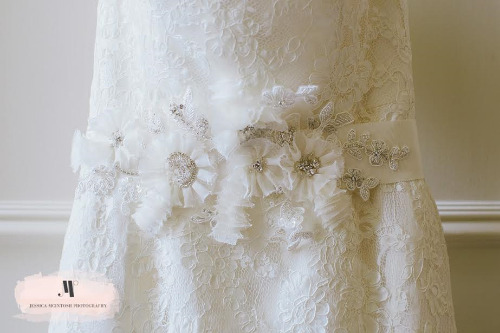 We receive several heirlooms that have yellowed or have several holes and we want to take care of everything that we can to make your dress look perfect. Then our Quality Control Manager, Natasha will look over the garment in more detail to notate any stains, missing or loose beads, tears, anything that needs to be taken care of prior to cleaning. Then Natasha will call and confirm the price with you. Then the garment will be pre-treated for any stains, focusing on the underarms, hem-lines, neckline, or any area notated by bride or Quality Control Manager. The initial cleaning will take place. After it has gone through its initial cleaning it is inspected for a third time. If there are any stains, or loose beads, or something needs to be repaired it will be taken care or retreated. If the dress is free of stains and nothing further needs to be done it will be taken to the presser. We will then steam it, press the pleats back in, steam the tulle underneath, and make the garment brand new again. There are two options for preserving your gown. We can preserve it in a Muslin Bag or a Keepsake Box. Foster-Stephens, Inc provides our high quality bags and boxes they started in 1936 and in our opinion provides the best preservation storage options available. Muslin Bag is an unbleached, hanging bag. Which is sometimes easier depending on your storage options. The dress is places into the bag with acid free tissue paper which keeps moisture and bacteria away from the fibers. The bag guarantees that the dress will not turn yellow indefinitely. and includes white cotton gloves so that if you choose to look at the dress at any time the gloves can be used to protect your dress from the oils of your hands potentially damaging the dress. If the dress is taken out of the bag and worn it will have to be re-cleaned. *They recommend that silk gowns be preserved in the muslin bag so that it can breathe. Keepsake boxes are a permanent preservation option with a clear window so that you can see the garment at all times. We can include any other items within the box with your dress (ie: veil shoes, invitation, program, etc) but anything metal will be wrapped separately away from the fabric so that it will never touch the garment while it remains in the box. The dress is places into the box with acid free tissue paper which keeps moisture and bacteria away from the fibers. The box guarantees that the dress will not turn yellow indefinitely. This option is highly recommend if you have any thoughts or plans that you will be passing your wedding dress on to someone in the future. Hopefully this will help you in your decision making process for the best option for your dress. We look forward to seeing you soon. If you have any questions please contact us we’d love to help you! Preservation option items provided by: Foster-stephens Inc.
Posted on June 5, 2014 by Sarah Roth and filed under Wedding, drycleaningwedding, bestdrycleaners and tagged Weddingdress bride nashvillebride jessicamcintosh jessicamcintoshphotography weddinggown cleaning preservation muslinbag keepsakebox lindasay.